Jane McCallum didn’t much want the job of Texas Secretary of State, offered to her by Gov. Dan Moody in 1927. A journalist and suffragette leader, she ended up taking the post as a way to do something for both women and herself. Ultimately, McCallum was able to a great service to all Lone Star State residents. Not long after taking on her new role, McCallum was cleaning up her office and came across a rusty tin box in a vault in the Capitol building in Austin. Inside was a decayed scroll of paper. It turned out to be the Texas Declaration of Independence, missing for the previous three decades, and, in fact, absent almost since it was drafted more than 90 years earlier. The document was approved March 2, 1836, and signed March 3, 1836, at Washington-on-the-Brazos, in today’s Washington County. Texas officials sent the Declaration of Independence along with other documents to Washington, DC, where Stephen F. Austin was seeking recognition for the new republic. 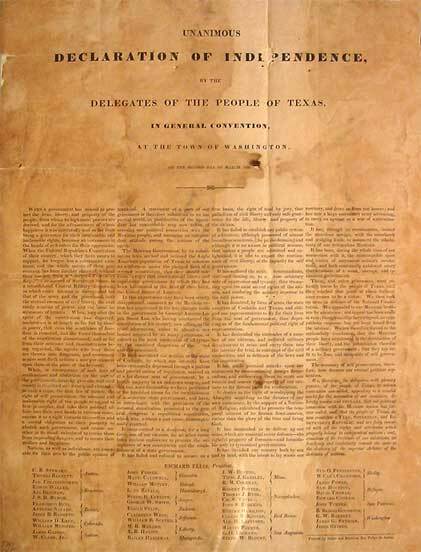 The document was deposited with American officials at some point in 1836 by William Wharton, who had been appointed minister plenipotentiary to the US by Texas President Sam Houston. 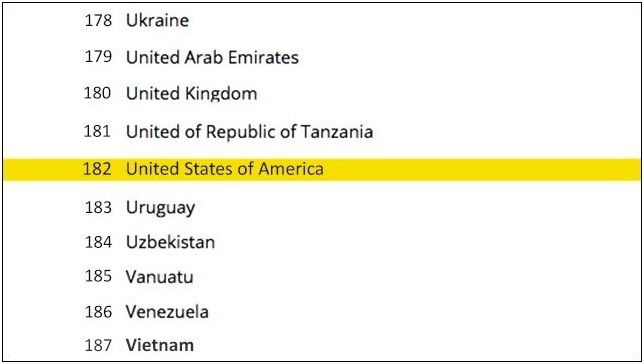 What happened to the Declaration of Independence after that is unknown – and it remained missing for the next six decades. A man named William Hallett Phillips had come across a file in the State Department that appeared to contain the Texas Declaration of Independence. He mentioned it to a friend, native Texan Seth Shepard, who was serving as an associate justice of the Court of Appeals for the District of Columbia. Shepard originally believed the document in question to be a copy, but it proved to be the original. State Department officials agreed to return it to Texas, and Gov. 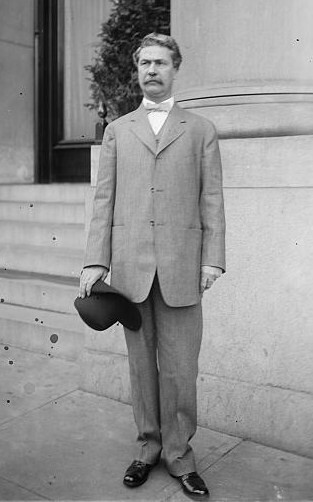 Charles A. Culberson received the document on July 1, 1896. Shortly thereafter it went missing for another three decades – until McCallum came across it. She took considerable time deliberating on the best way to conserve the document, taking two years to determine how to restore and display it. 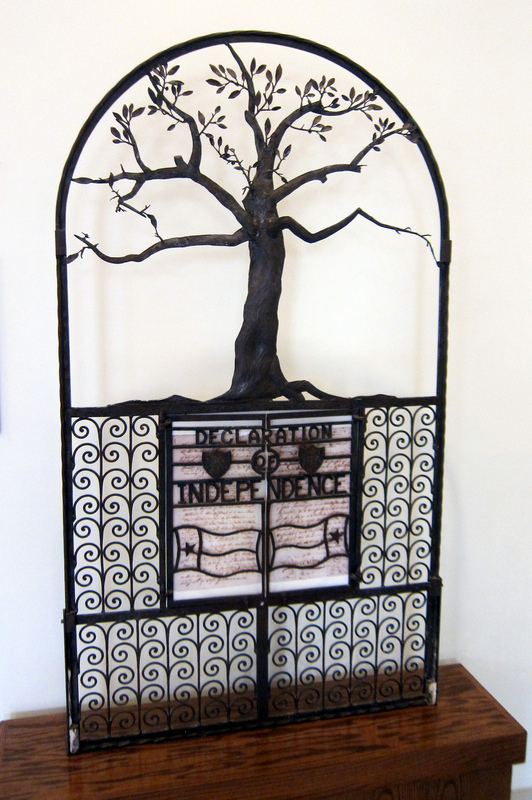 After officials at the University of Texas preserved the Declaration of Independence, it was placed in a wrought iron “Tree of Liberty” in a niche near the Capitol rotunda. It remained on display in the Capitol until 1940, when it was moved to the Texas State Library. After being moved a couple more times, it ended up at the Texas State Archives and Library Building in Austin. While the original is no longer on display, a replica, along with the wrought iron grill that McCallum used to show off the original Declaration of Independence, can still be seen in the visitors center, located in General Land Office Building on Capitol grounds in Austin. The above seems plausible enough. 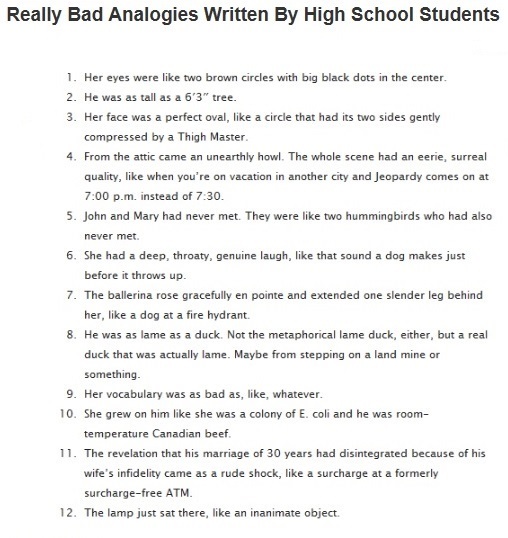 I was once in high school and undoubtedly penned a number of bad analogies, though I also recall having considerable difficulty differentiating analogies, metaphors and similes from one another. While most of my analogies were sports-related – “the sound his head made as it bounced off the pavement was a sharp thwack, resembling the tone of a Nolan Ryan fastball being fouled off by Reggie Jackson” – and many were substandard, they probably weren’t as cringe-worthy as the above. But, of course, the Internet being the Internet, it turns out that the above analogies weren’t written by high school students but by readers of the Washington Post. In July 1995 the Post ran a contest asking for outrageously bad analogies, according to the blog Socratic Mama. Readers were asked to write the most hideous prose they could imagine. The above is a selection of those submissions. It wasn’t long before a sample of these were being gleefully passed around the web, attributed to high school students. I suppose because nearly all of us were high school students at one time, and most of us have struggled with analogies – at least in practice if not theory – the idea that teens could come up with the above seems utterly plausible. After all, high school students struggle with analogies in much the same way that a thirsty, yet dignified souse struggles not to break into a trot when he hears a beer truck has overturned just up the road. To see the Post’s collection of reader-inspired bad analogies, click here. One of the more disheartening aspects of the “tolerance” crowd is that some members are rather intolerant when faced with opinions that differ from their own. Take Morgan Clendaniel, the editor of the online website Co.Exist, owned by business magazine Fast Company. While Wikipedia describes Co.Exist’s mission as covering innovation-related topics, the name carries with it the concept of co-existence, which suggests mutual tolerance despite different ideologies or interests. Clendaniel would appear to be among those who believe co-existence is great – until a viewpoint they disagree with comes along. 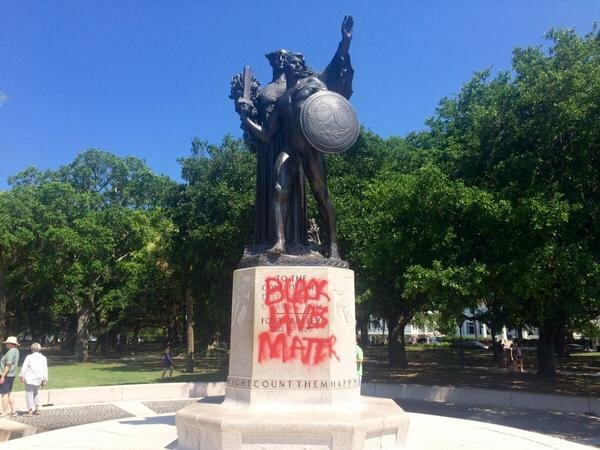 Consider a recent piece by Clendaniel titled “While We’re Doing The Flags, Here Are Some Other Confederate Things We Should Get Rid Of”. In a nutshell: Clendaniel really, really, really doesn’t like Jefferson Davis, who served as the president of the Confederate States of America. Kappa Sigma made the mistake of wishing Davis Happy Birthday in 2013 on its national website. 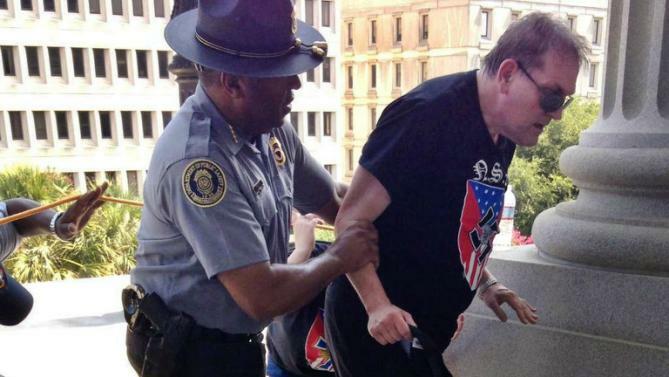 The fraternity was also castigated by Clendaniel for recently welcoming a new member and identifying him as the great-great grandson of the Confederate leader. The fact is that most anyone born in the 19th century would be considered a racist by 21st century standards. Davis, Abraham Lincoln, Robert E. Lee, Ulysses Grant, William T. Sherman, etc., ad infinitum. Who knows how our own views will stand up to the test of time? As for Davis being a traitor, the Founding Fathers would also fall into that category – certainly the British saw them in that light. “ … when the senator goes to the U.S. Senate chamber, he sits at a desk that was once used by Jefferson Davis, when Davis was a senator from Mississippi, before he betrayed his country by leading a breakaway republic based on maintaining the institution of slavery,” he writes. 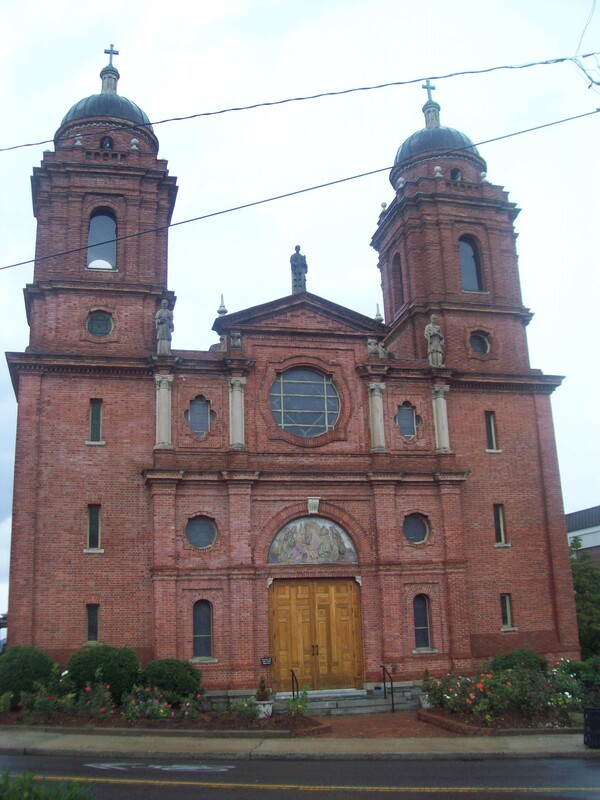 Asheville, NC, is renown for its eclecticism, so it’s hardly surprising that amid the community designated as one of the “Top 25 Small Cities for Art” sits the striking Basilica of Saint Lawrence, a Spanish Renaissance-style Roman Catholic church that stands out in a region noted for architectural beauty. Formally named the Minor Basilica of St. Lawrence the Deacon & Martyr, the church was designed and built in 1905 by Spanish architect Rafael Guastavino. The building is remarkable in that, despite its size, it was constructed with no wood or steel; all walls, floors, ceiling and pillars are of tile, granite, stone or brick. The roof is of tile with a copper covering. This, even though the basilica’s dome has a span of 58 feet by 82 feet and is said to be the largest freestanding elliptical dome in North America. Guastavino (1842-1908) came to Asheville to work on the famed Biltmore House in the mid-1890s and opted to remain in the region even after his work on the impressive structure was completed. He had immigrated to the US from Barcelona in 1881. Prior to his arrival in the US, Guastavino had been successful in his home country, designing large factories and homes for Catalan industrialists. Guastavino is credited with reviving an ancient tile-and-mortar building system that had once been used extensively in Spain. It involved using layers of thin tile bedded in layers of mortar, creating curved horizontal surfaces, according to Basilica of Saint Lawrence literature. In the basilica every horizontal surface is made using this title-and-mortar technique.